LOVELY! LOVELY! LOVELY! 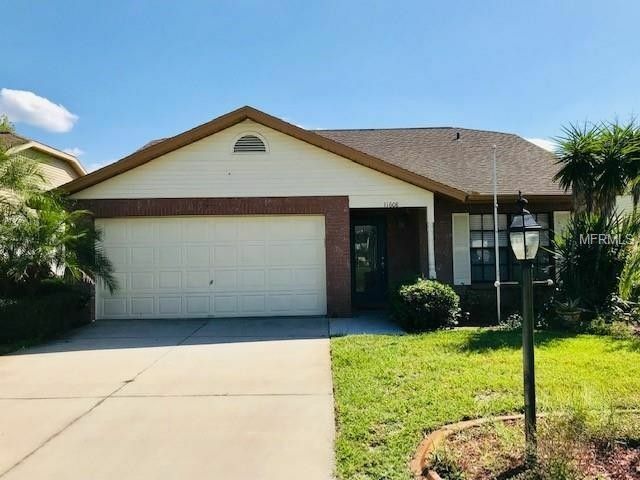 BEAUTIFULLY MAINTAINED, THIS EXPANSIVE 2/2/2 HAS OVER 1900 SQ FT OF LA; DRAMATICALLY OPEN FLOOR PLAN; GREAT ROOM WITH CATHEDRAL CEILING ADJOINS LIGHT & BRIGHT KITCHEN WITH NEWER CABINETS, NEWER APPLIANCES & COZY BREAKFAST ROOM; STRIKING FAMILY ROOM ADDITION IS 12X38 FT, HAS CATHEDRAL CEILINGS WITH CAP LIGHTS, CEILING FANS & PROVIDES A RESTFUL VIEW OF THE POND & TREES; SPLIT PLAN; MASTER SUITE WITH BEAUTIFULLY UPDATED SHOWER BATH & WALK-IN CLOSET; BOTH BEDROOMS HAVE NEWER CARPETING & THE REMAINDER OF THE HOME HAS NEUTRAL CERAMIC TILE; OVERSIZED 2 CAR GARAGE; PERMITS REFLECT NEW ROOF (2005) & NEW C/H/A (2004). THIS IS AN EXCEPTIONAL HOME IN A GATED 55 PLUS COMMUNITY WITH AMENITIES GALORE: ACTIVE CLUBHOUSE, POOL, TENNIS, SHUFFLEBOARD, EXERCISE ROOM, POOL TABLES & CARD ROOMS. MODEST FEES COVER EXTERIOR PAINT, LAWN MAINTENANCE, SPRINKLERS, WATER FOR SPRINKLERS, CABLE, TWICE PER WEEK GARBAGE PICK UP, REMODELED CLUBHOUSE & 2 POOLS (1 EXCLUSIVELY FOR ARBORWOOD) 1 SMALL PET ALLOWED. GOLF AVAIL.